Caricatures drawn live by local artist Dianne Nowicki who has an extensive background in portrait painting, giving her the ability to capture a likeness. 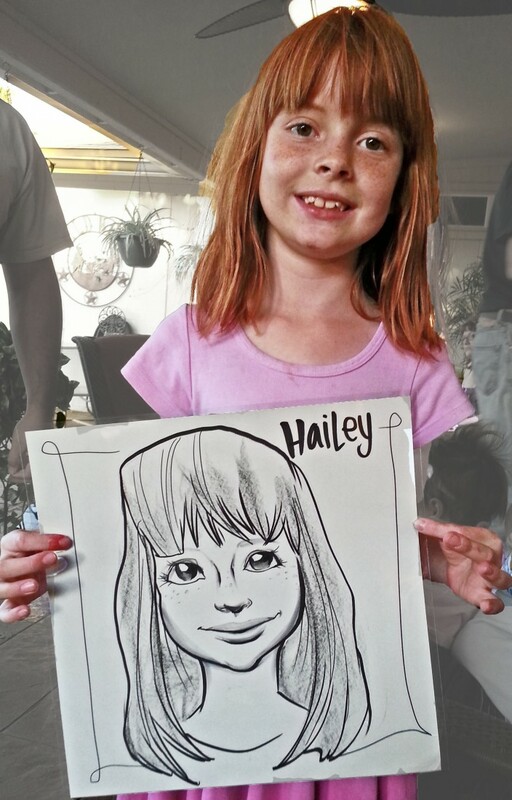 We are so greatful to have had the opportunity for Dianne to draw all of our guests, young and old, at our family Christmas party. She was a true professional and very good with all of the young children. We can’t thank her enough for all of the lasting memories she provided our family and all of our guests. The keepsakes will be treasured for many years to come. It was an honor to be a part of your celebration. I love meeting your family! Dianne is truly a wonderful artist. I commissioned her to draw me in my line of work and she completely delivered. My son is 2 and saw them and said "Mommy!" so they look like you, without being just a drawing of you! I feel like each caricature captures something different about me and I am so grateful for Dianne's work. It was a joy to draw you and your family, you are beautiful inside and out. I'd be delighted to draw for you again, any time! 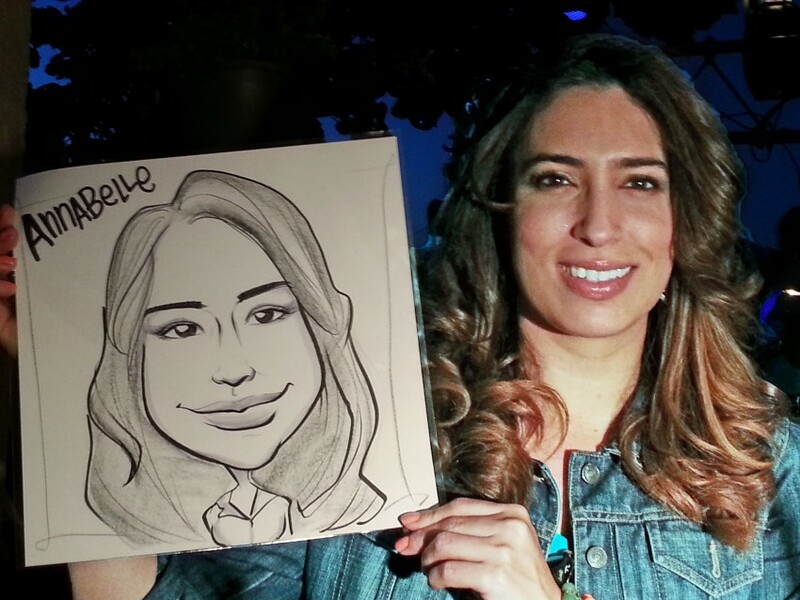 Have beautiful portrait-style caricatures drawn live, and handed to guests in a clear cover in a professional set-up by a good natured classically trained artist. paper sizes available are 12x12" or 11 x 14" high quality cardstock. Custom paper designs available from an associate at an additional cost, if you would like that for your event. Dianne Nowicki is a Phoenix-based painter who is fascinated by the face. I paint portraits and love the individuality that the face makes possible. 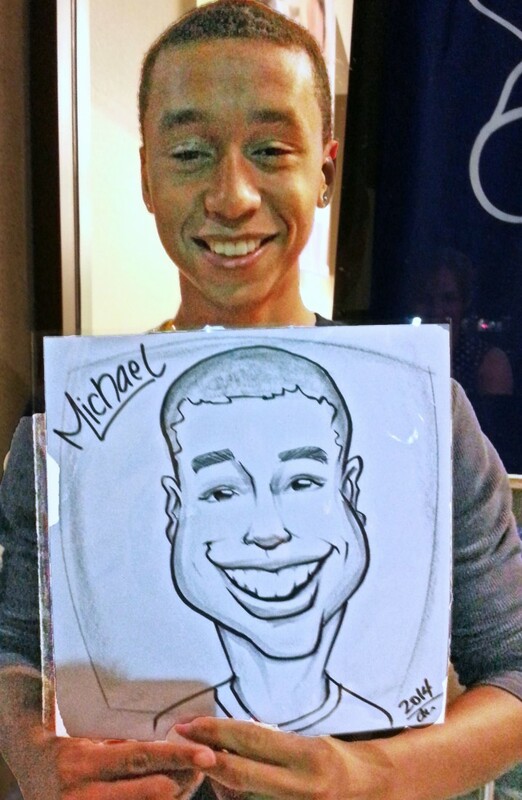 For this reason I have ventured to caricature, to indulge my love for drawing faces. I have lights available, and bring my own chairs and supplies. I can dress according to your event, and present a polished appearance. I draw faces, and try to have no more than two faces per page if possible. 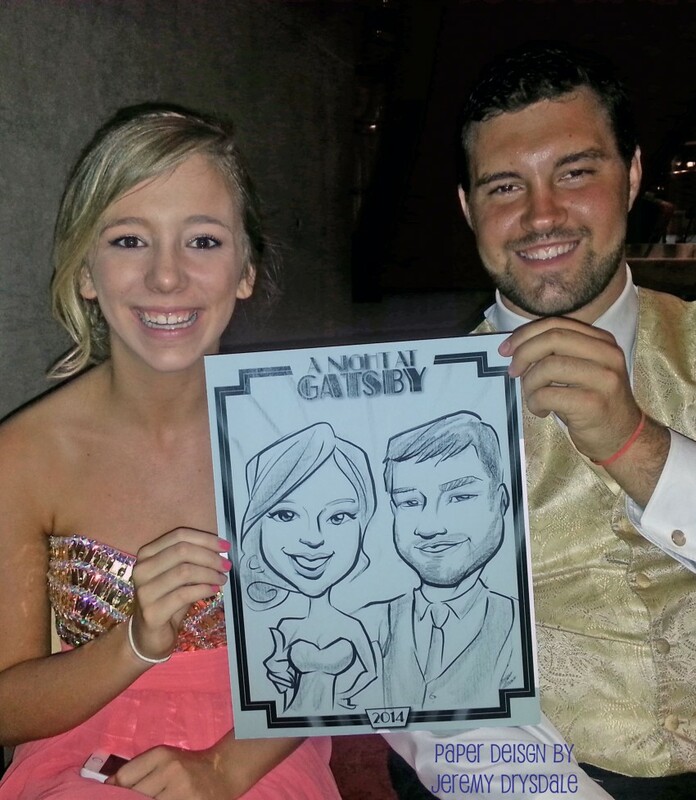 I also provide digital caricatures, in color or black and white. 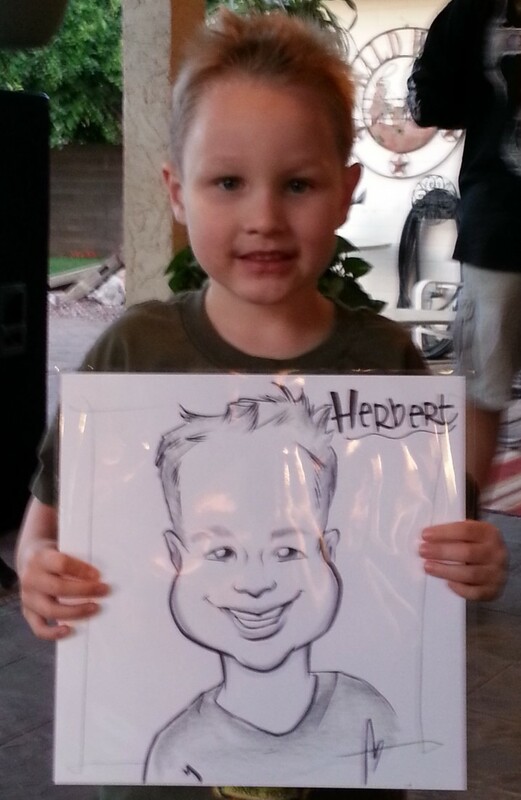 I have received training from Jeremy Drysdale of Phoenix Caricature, and from Chris Collins of Arizona Caricature. I really enjoy the exaggerated style of Joe Bluhm. I have been a fan of John Kricfalusi since I was a girl, and still love the Spumco drawings.